New original series on Yahoo News! "Through Her Eyes with Zainab Salbi." Now an Angelina Jolie feature film • Netflix. Called "One of the 25 Women Changing the World" by People & “100 Leading Global Thinkers” by Foreign Policy Magazine, the founder of Women for Women International, Bestselling Author and TV Host. She started Women for Women at the age of 23, which grew from helping 30 women upon its inception to more than 460,000 women in 8 conflict areas.Her books include Between Two Worlds — Escape From Tyranny: Growing Up in the Shadow of Saddam and most recently Freedom is an Inside Job: Owning Our Darkness and Our Light to Heal Ourselves and the World (10/2018). Salbi is the host and creator of several TV shows including #MeToo, Now What? and a new original series with Yahoo News! 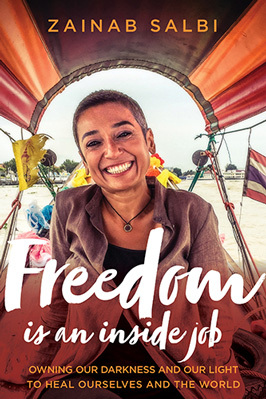 Through Her Eyes with Zainab Salbi. 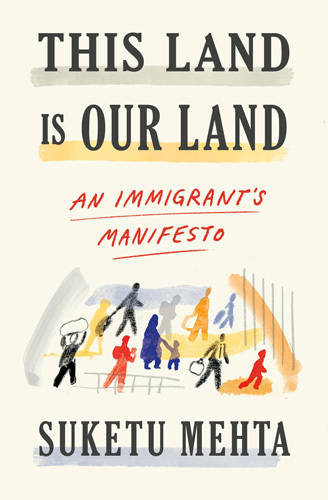 The renowned author of Maximum City: Bombay Lost and Found shifts his focus to attack the issue of immigration head-on with his new lecture and forthcoming book This Land Is Our Land: An Immigrant's Manifesto (Farrar, Straus, Giroux, May 2019). Drawing on his own experience as an Indian-born teenager growing up in New York City and on years of reporting around the world, Mehta subjects the worldwide anti-immigrant backlash to withering scrutiny. As he explains, the West is being destroyed not by immigrants but by the fear of immigrants. As civil strife and climate change reshape large parts of the planet, it is little surprise that borders have become so porous. But Mehta also stresses the destructive legacies of colonialism and global inequality on large swaths of the world. 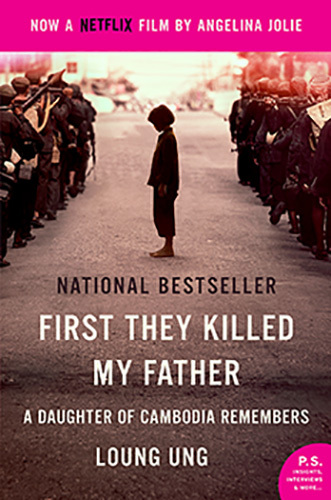 The activist and bestselling author of First They Killed My Father: A daughter of Cambodia remembers, now a critically acclaimed feature film produced and directed by Angelina Jolie, released by Netflix. Loung Ung shares her story of survival during the Cambodian genocide and her work as an activist in a lecture that delivers "an empowering message of survival, activism and gratitude." 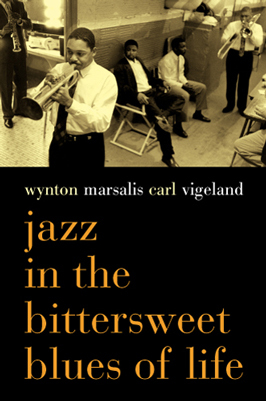 The veteran New York Times journalist is author of seven books including: the New York Times bestseller The Working Poor: Invisible in America; Arab and Jew, which won the Pulitzer Prize, Freedom of Speech: Mightier Than the Sword and Rights at Risk: The Limits of Liberty in Modern America, among others. He addresses a range of critical issues from poverty to free speech to civil liberties, and more. TRANSparency Speaking Our Truths is a Panel Conversation with three Trans Survivors of Domestic and Cultural Assault Featuring Contributors of the book Written on the Body: Letters from Trans and Non-Binary Survivors of Sexual Assault and Domestic Violence, Edited by Lexie Bean. The book is a "50 Best LGBT Books of 2018" selection by Autostraddle.com. The panel takes audiences beyond stereotypes to meet real people and share real stories, to humanize and foster and understanding of the reality of being trans. The most accomplished and well-known adult with autism in the world. The bestselling author, innovator & animal scientist was subject of the HBO feature film “Temple Grandin,” starring Claire Danes. Her TED Talk "The World Needs All Kinds Of Minds," has been viewed almost 5 million times. Dr. Grandin is sought after globally to speak about her experiences with autism, cattle handling and the humane treatment of animals. She has been featured widely in the global media. Time Magazine named her one of the world's 100 most influential people. Produced and directed by Angelina Jolie, the film is based on the bestselling memoir by Loung Ung. Angelina Jolie speaks about "First They Killed My Father"
At TED with "Women, Wartime and the Dream of Peace"
David A. Wilson, Journalist and Founder of theGrio.com, presents his MSNBC award-winning documentary in his lecture/film/conversation event. Temple Grandin - The world's most accomplished & well known adult with Autism & bestselling author. At TED with "The World Needs All Kinds of Minds"